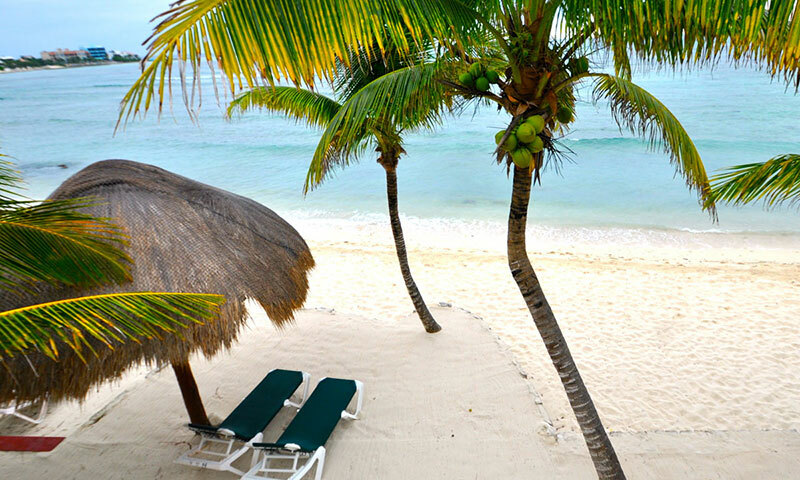 Del Sol Beachfront (formerly known as Vista del Mar) is located one hour south of Cancun on Half Moon Bay between the town center of Akumal and the excellent snorkeling destination Yal-ku Lagoon. 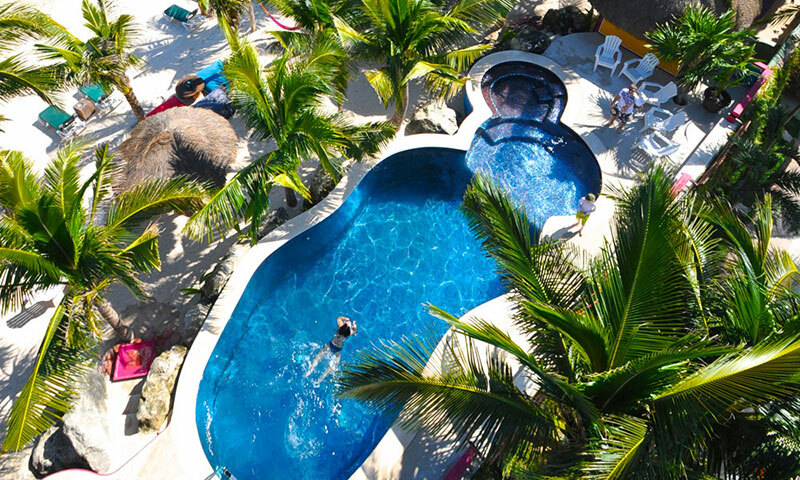 The property includes a swimming pool, Akumal Dive Adventures, La Buena Vida Restaurant and Bar, The Corner Store, free wireless internet, as well as bike, snorkel, and kayak rentals. The knowledgeable and friendly staff are on hand to answer your questions and help make your stay most enjoyable. 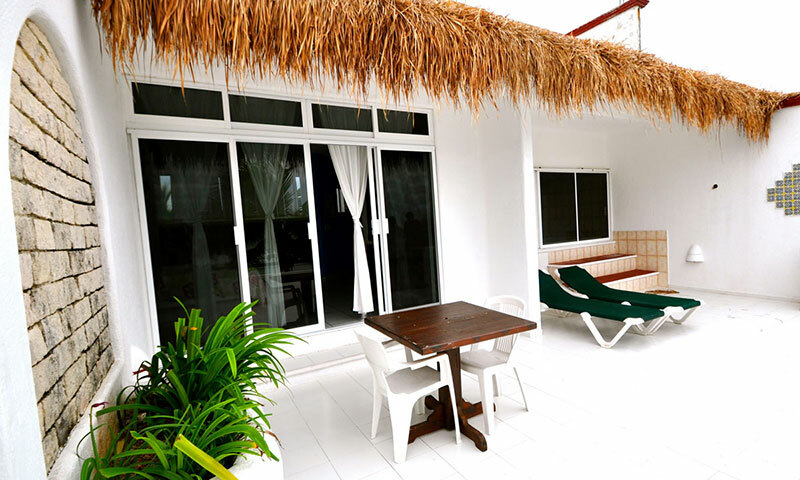 Del Sol Beachfront is comprised of two buildings from which to choose. Del Sol Beachfront central (where reception is), and Del Sol Beachfront north. 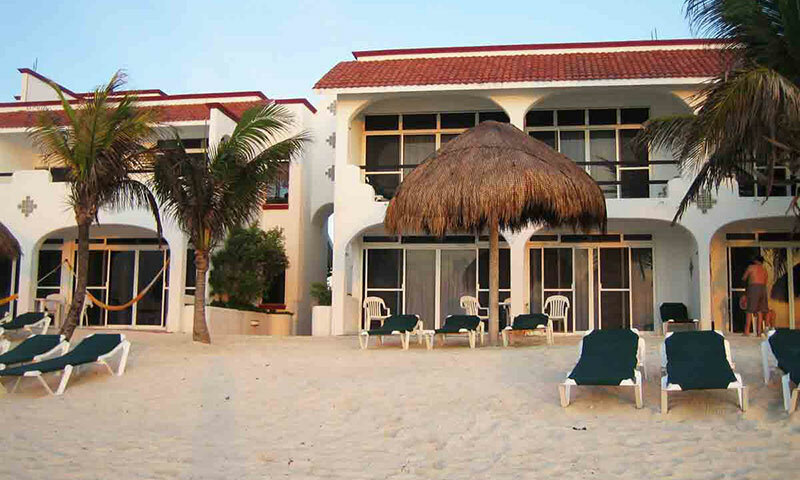 The central condos are two story buildings; right next to Akumal Dive Adventures dive shop and swimming pool. 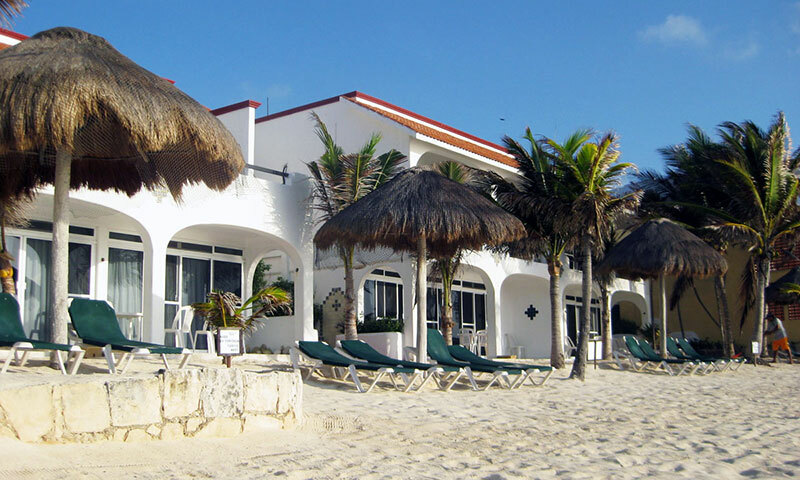 La Buena Vida restaurant/beach bar is next door to the south and Del Sol Beachfront North condos are 30 yards north of the VDM reception desk. 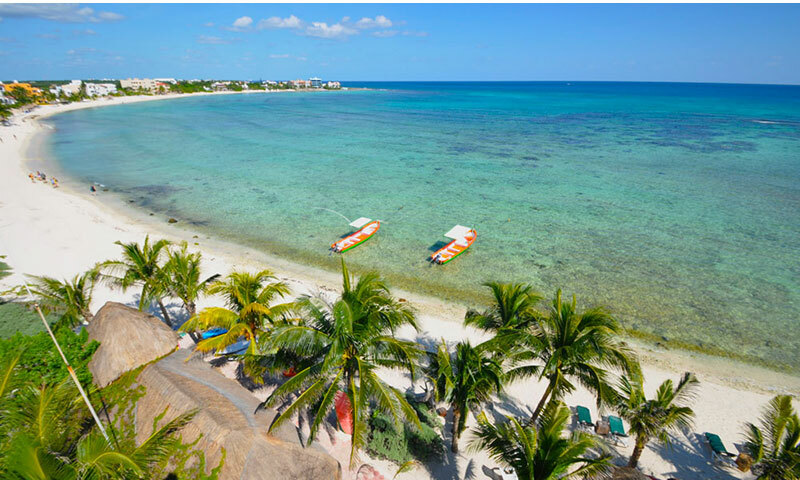 All the condominiums are beachfront and have a spectacular view of Half Moon Bay and the Caribbean Sea. Mexican and Guatemalan colors are the tropical theme of these units. 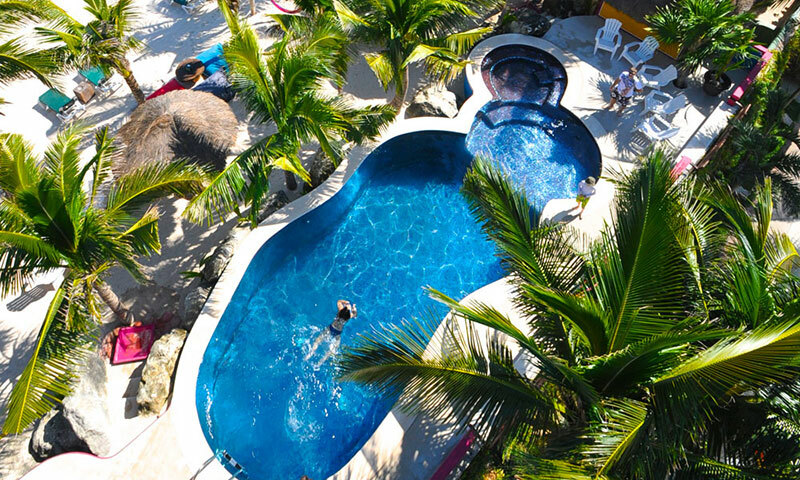 The condos are fully air conditioned and have roomy two or three bedroom suites configured with complete kitchens, large balconies with hammocks, living and dining rooms. Most bedrooms have King size beds with wonderful ocean views. Satellite TV with HBO and Cinemax is included in all units. Vista Del Mar also has The Corner Store convenience store for light groceries and beverages. Snorkeling equipment, sea kayaks and bikes are available for rent at the dive shop. Also daily scuba diving, cavern diving and scuba instruction are offered. Day passes are available to Yal-ku Lagoon. Head to happy hour at the La Buena Vida Swing Bar for some great drinks and laughs. Half Moon Bay beach is also a nesting area for 2 species of endangered sea turtles. If you are here during the summer and fall months, please be respectful of marked nests and hopefully you will be lucky enough to see a mama lay her eggs or a nest hatch. Please do not use bright lights at night or flash photography. 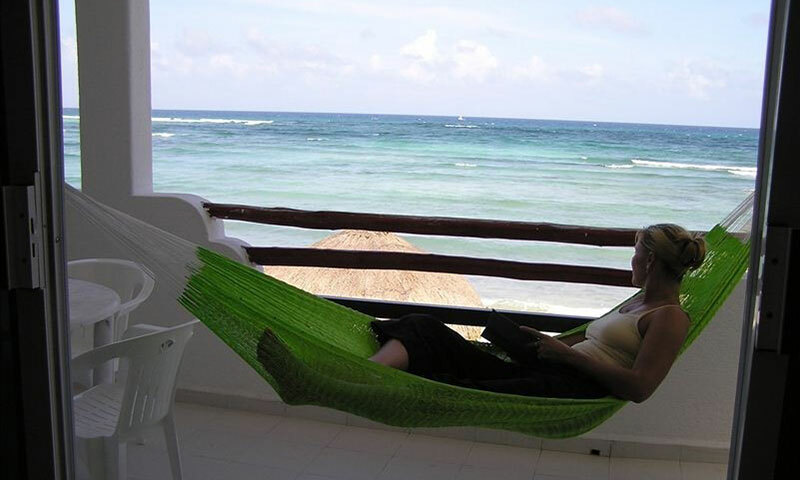 All the condominiums are beachfront and have a spectacular view of Half Moon Bay and the Caribbean Sea. Mexican and Guatemalan colors are the tropical theme of these units. 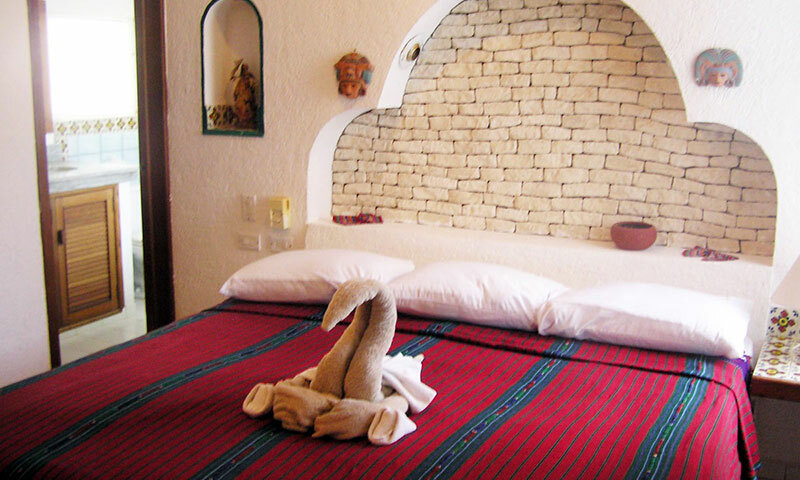 The 3 bedroom condos feature king bed, queen bed, double bed, twin bed, jacuzzi, and central AC. 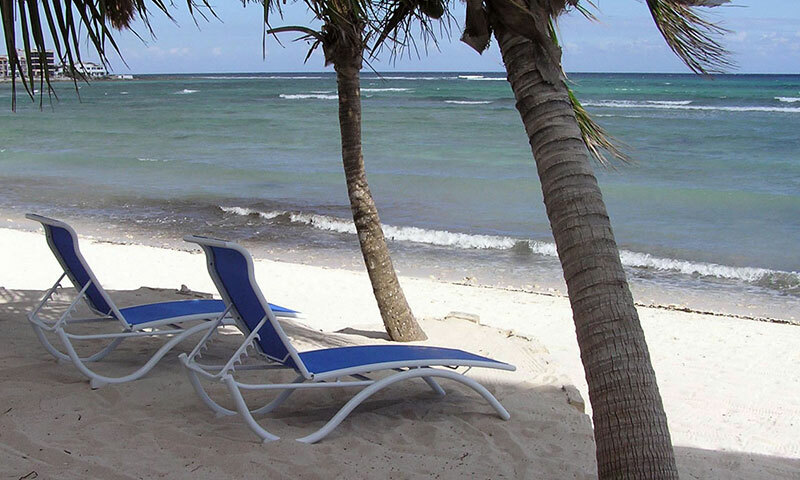 All the condominiums are beachfront and have a spectacular view of Half Moon Bay and the Caribbean Sea. Mexican and Guatemalan colors are the tropical theme of these units. 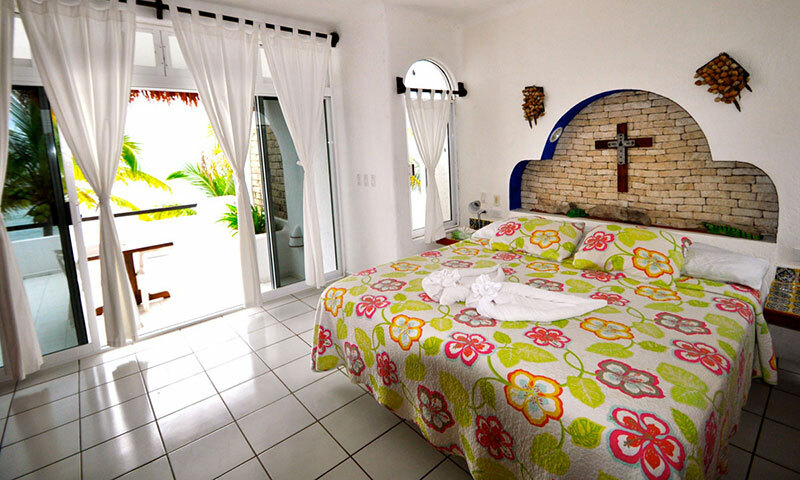 The 3 bedroom condos feature a king bed, double bed, twin bed, and central AC. 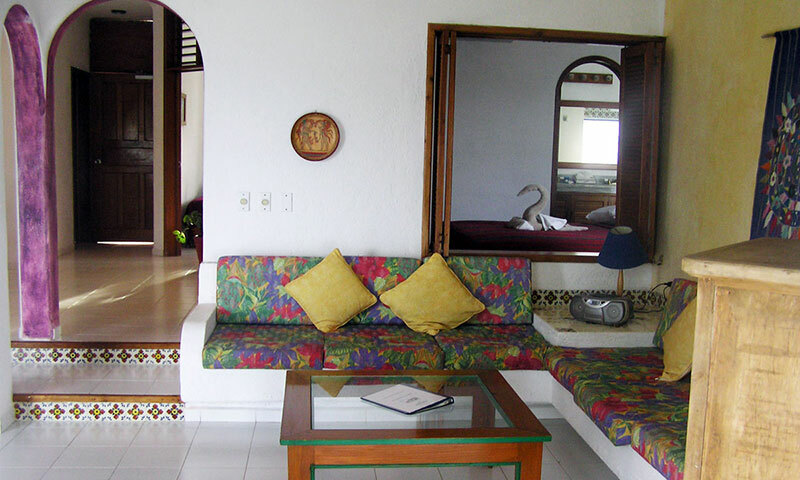 All the condominiums are beachfront and have a spectacular view of Half Moon Bay and the Caribbean Sea. Mexican and Guatemalan colors are the tropical theme of these units. 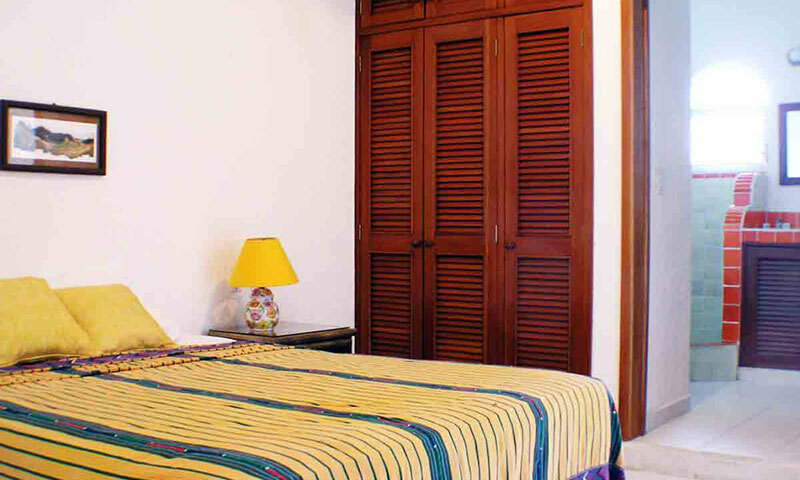 Studio units feature AC, jacuzzi, kitchenette, king bed, large private balcony on the second floor. The 1 bedroom condos feature AC, kitchen, separate bedroom with queen bed with bathroom and balcony.